I love traveling with my family, and we usually choose to drive. But as you can imagine, a long road trip with toddlers (twins) is not always a lot of fun. After about hour 8 they are just DONE! Thankfully, with all of our travel, we have learned what can help to keep our little ones happy. 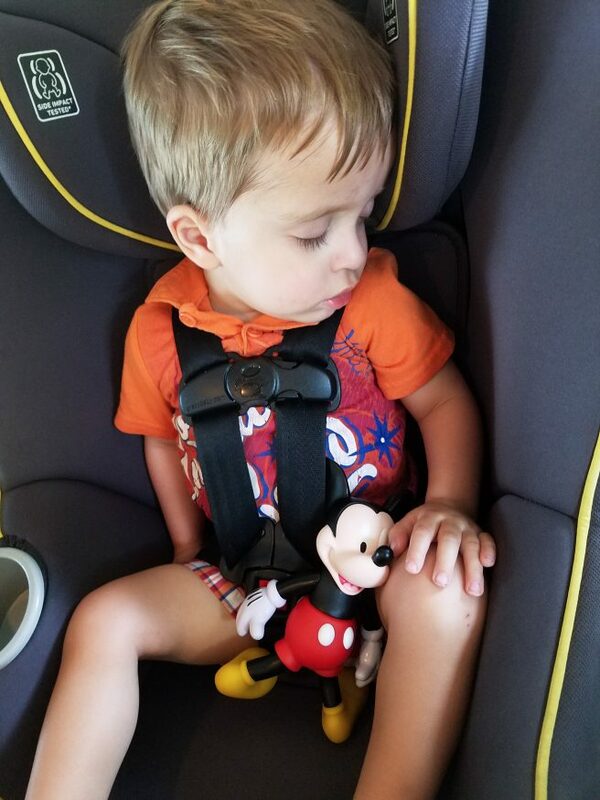 I am going to share with you today some tips and must-have items for road trips with toddlers that will help everyone not only survive, but enjoy the family vacation. 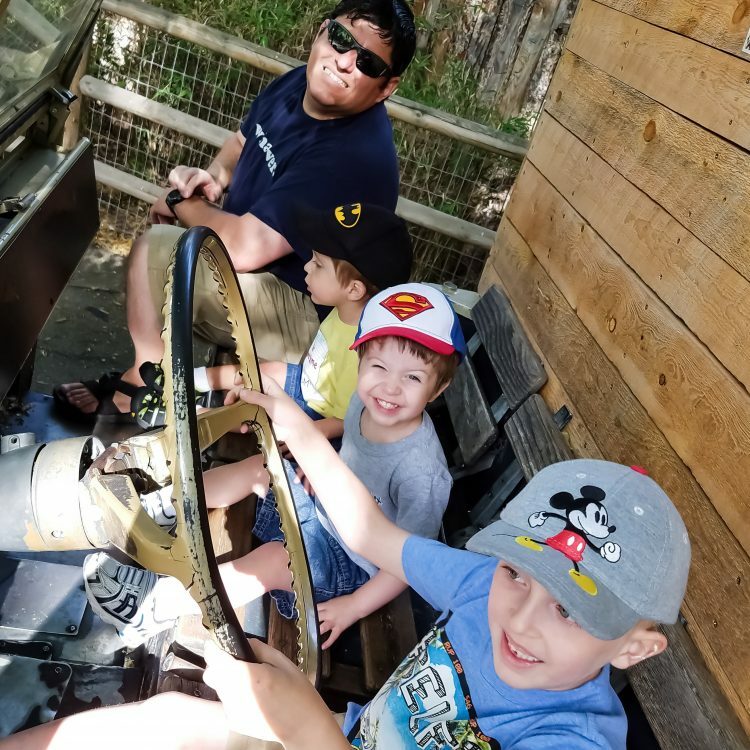 I have shared a few times how my family has taken long road trips with toddlers, like our Seattle to San Diego road trip. We usually plan on doing some of our traveling overnight, but the last couple of spring breaks, that has not been an option. Traveling with toddlers in a car can be a nightmare if you are not prepared. But thanks to our many years of road trips with toddlers and preschoolers, we were ready. There are lots of different ways to survive a road trip with toddlers. We have traveled a lot with kids (ever since the Goof was itty bitty- seriously we took him on a 10 day, 7 state road trip at 2 months old) and that has given us a lot of time to perfect our travel technique. Since we usually drive, that means long car rides are our specialty. Here are some of the best tips we have for road trips with toddlers. Travel overnight or during nap time as much as possible. Take advantage of when kids will be sleeping. This is a great tip for traveling with toddlers in the car. 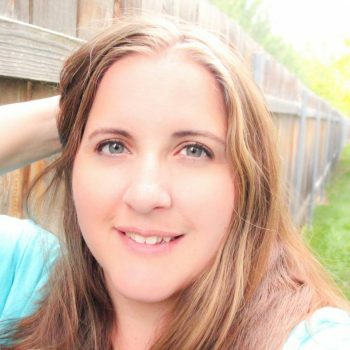 I mentioned we love traveling overnight, and this helps our travel time with kids awake be kept to a minimum, but sometimes we travel during the day. If we are taking a shorter trip (say 5 hours) we try to schedule the drive around nap time so that we can usually get a good 3+ hour stretch where the twins are sleeping during most of the ride. That way we stop less and make better time. Stop often during waking hours. Just like us, toddlers need to get out and stretch during long car rides. When toddlers are awake, try to stop every 2-2.5 hours. Aim to stop places where your kids can stretch their legs. Dining options with playgrounds, rest stops with grassy areas or trails to run and explore, and more. Bring a long something they can play with like a ball. Traveling with toddlers in the car will add to the amount and length of your stops, so plan accordingly. 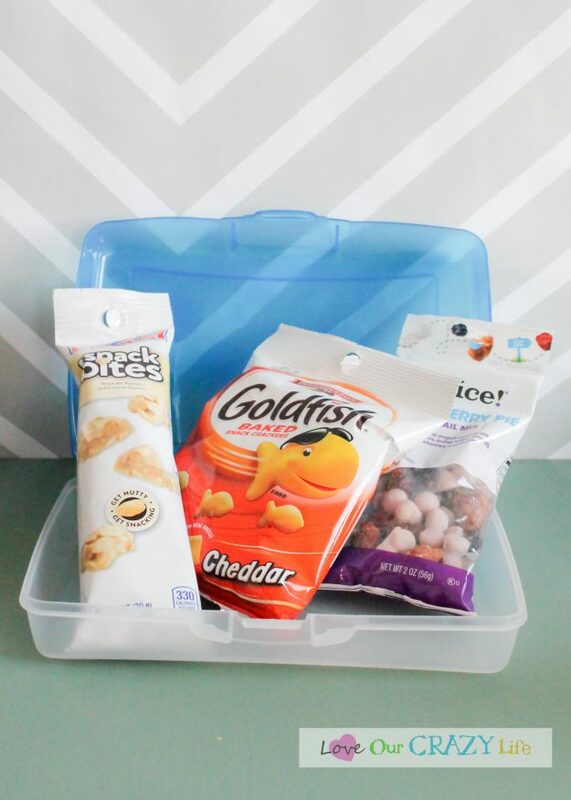 Pack plenty of snacks. Whether you let your kids eat in the car or only at stops, be sure to pack plenty of snacks and water for your road trip with toddlers. You can’t always find toddler-friendly snacks at the various places you may stop. Keeping kids fed will help keep them happy. Keep them rear-facing. If your toddlers are rear facing in their car seats, it can be tempting to turn them around for a car trip so that you can easily turn around and see them, but that may not be the best idea. And no, this is not an extended rear-facing lecture, but a logistical reason. When a rear facing child accidentally drops a toy, it doesn’t fall all the way to the ground and usually they can still reach it. Less crying. Also, if they get upset and want to throw a toy, they aren’t aiming for the back of your head. I know this seems like a silly tip, but trust me, once we turn our kids around, I value this tip. Take the right baby travel gear. One key to road trips with toddlers is the gear you pack. I have shared a road trip kit with older kids in mind before. 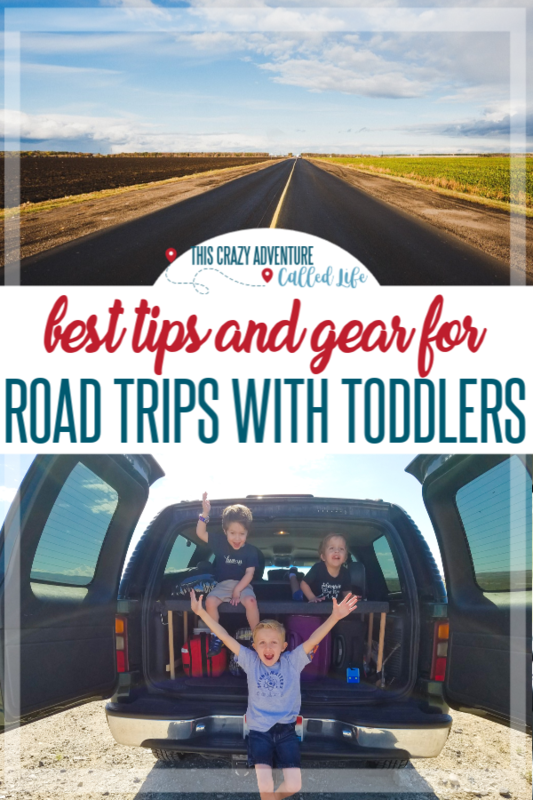 Today I am going to share some of our must have items for a road trip with toddlers. Taking the right items can make a world of difference for your road trip with toddlers. It is important to have several items to rotate with toddlers as they will easily lose interest in a lot of items. Also taking new items is a great idea. We usually pick up a few new toys to take. New toys tend to keep their interest a little longer. 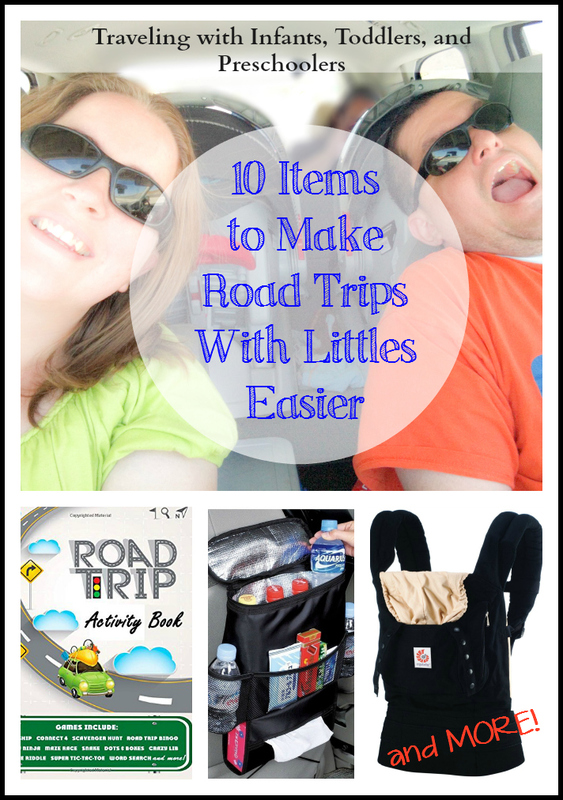 Check out these items that help us survive road trips with toddlers (times two). Disclosure: Links in the section may be affiliate links, meaning we may earn money from purchases made through them. Coloring books. If your kids are old enough and have an interest in it, coloring books are a great option for road trips. We personally love the Color Wonder products. The markers only work on the special Color Wonder paper (you can buy blank pages or coloring books with pictures) so you don’t have to worry about them getting marker all over your car or themselves. Books. My kids love books and so I always take several on road trips. I love to get the little board books at the dollar store, or from the under three toys from kids meals, and take them because it isn’t a huge loss if they get lost on vacation and my kids can not rip the pages. Bubbles. This is one we are trying out this time. My twins love bubbles and can be entertained by them for a good 45 minutes. Since we will have an extra passenger with us this time (we are going with our friends and one of their older kids will be riding with us) we are going to have them blow bubbles when the twins just seem done with the car. I ordered some Fubbles off Amazon because these are AMAZING! 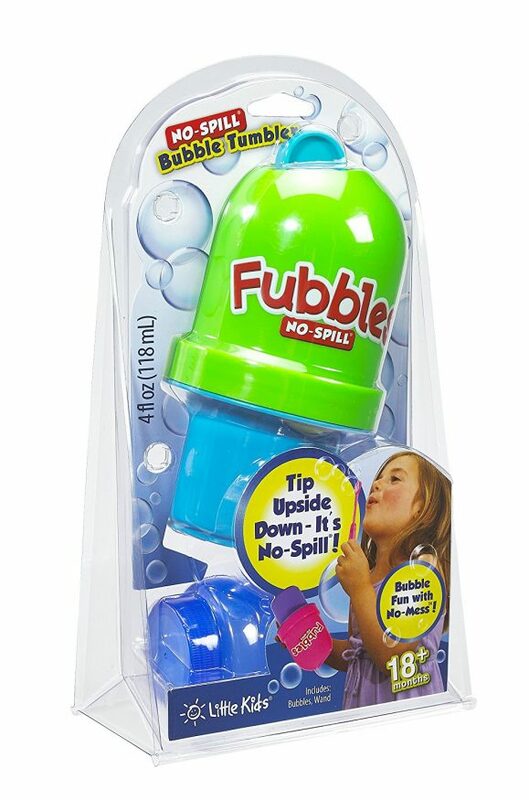 They blow a million bubbles each time (okay slight exaggeration, but they blow a lot of them) and the container is SPILL PROOF! Perfect for in the car! We are excited to try this out this trip. I will have to let you know how it goes. Lovey or other stuffed animal. It is good to have a lovey or other stuffed animal from home that your toddler is familiar with. Not only will it be good when you get to the hotel, but it may help them feel comforted in the car. Quiet Books. Quiet books are a great way to entertain kids. You can find a lot of patterns to make your own, or purchase one from Amazon. My personal favorite is this Melissa and Doug one for travel because all the movable pieces are attached, where as many others have loose pieces that can get lost. Tablets or DVD players. This is honestly a very last resort for us. We actually have not given any electronics or DVD players to the twins, but we have given them to the Goof when he was a toddler. Sometimes, you have used every single toy, you have tried every trick to keep them happy, and well, you are just done. If our twins would have had previous experience with electronics on our 2 week road trip, I might have used electronics to let them watch some Mickey Mouse Clubhouse or a movie, but since they had no experience using the, we kind of suffered with the whining and crying the last two days. If your kids know how to use electronics, or if you are able to set up a DVD player, then this is definitely worth thinking about, especially if you are going on a longer road trip. I am sure there are plenty of must have items that we missed. What are some of the must-have items that you usually take on road trips with toddlers to help make it enjoyable for everyone? I might have laughed out loud about the toy not coming at the back of your head if they’re still rear facing…. 🙂 I try to travel while the kids are sleeping too! Either leaving super early in the morning (put them in the car still sleeping) or at night so they fall asleep in the car. Just make sure you have someone with you if you’re driving at night so you don’t fall asleep yourself.